Top 10 Best Hill Stations near Mumbai for a Weekend Getaway! Got tired while you were busy chasing your dreams in the city that never sleeps? Bored of the Mumbai beaches? Does the hangover after a Saturday night’s party never let you have a relaxing Sunday? Have checked out lengths and breadths of Bombay and has no place to explore? Had a hectic time working? Well, there is a solution. You just need a short break so run to those hilly retreats around Mumbai to rejuvenate your mind. Despite Mumbai being a popular tourist attraction, people often get bored with the busy city lifestyle and the overcrowded streets. For those seeking a break from the humidity and the traffic laden roads, here is a list of top 10 hill stations near Mumbai. A view of the Khandala ghat and the Mumbai-Pune expressway at Rajmachi point in Khandala. This place is just at a distance of 80 kms from Mumbai and 70 kms from Pune. It became a popular destination after it got featured in a popular Bollywood song. 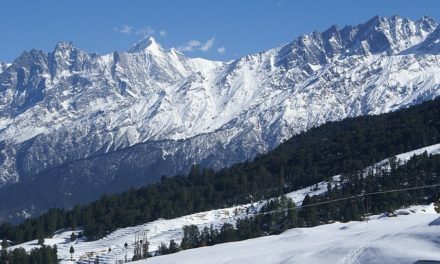 It is well known for being a hiking and trekking destination. There are few places that you can explore while you are here, the famous Duke’s Nose –Nagphani for breathtaking views, crowded Bhushi Lake, Rajmachi fort and an Ancient Jail built in the late 19th century. How to reach Khandala from Mumbai? 80kms from Mumbai. Frequent buses fly from Mumbai. Else get a cab for rent or a self-driven car. Lonavala Hill station near Mumbai. Despite having so many hangout places in Mumbai, Mumbaikars do often get bored with the chaos the city offers. Lonavla is one place where most of these folks flock to. It’s just a 2-hour drive from Mumbai and just a few kilometers from Khandala. It offers various viewpoints with a lot of food joints to just sit and relax. 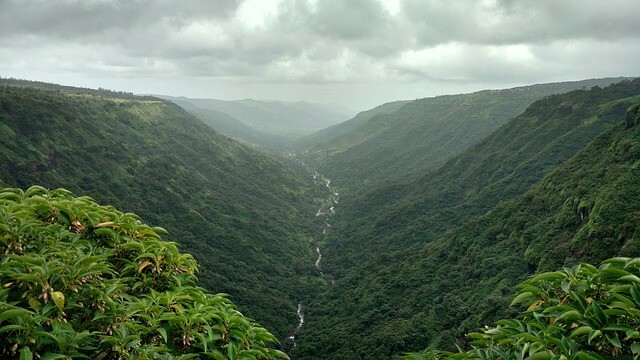 Because of the lush valleys and the steep hills, it is well known as the “Jewel of Sahyadri”. Got a sweet tooth? Try out Maganlal chikki. Don’t worry if you miss one shop, there are hundreds around. Not joking at all! How to reach Lonavala from Mumbai? 84 km’s from Mumbai. Just 3kms from Khandala. Mumbai to Pune buses stops at Lonavala. A long drive is always a good thing. It is nestled between five hills, and hence the name. It’s one of the most picturesque and scenic hill stations in the Western Ghats. The climate is pretty cool even during summers, that it attracts plenty of tourists looking for weekend getaways near Mumbai. Don’t forget to enjoy the ferocious breeze at the Table Land, vast plateau. Parsi point provides an extraordinary view of the Dhom Dam, the valley down below and the fort(Kamalgad hill) right across the valley. Sydney point also offers some breath-taking views of the Dam as well as Krishna valley. And for all the foodies, Mapro Garden is the place! Do try the strawberries and the homemade pizzas. Delicious is an understatement. It is one of the most crowded places in Panchgani I would say. Other than trekking and adventure hiking, there are a lot of camping options in the Wai Village. Definitely worth a try. How to reach Panchgani from Mumbai? A lot of buses are there from Mumbai. Or you could take a train to Pune and then take an alternative transportation medium. If a 250km drive doesn’t scare you, take a car/ bike and have fun while taking some pit stops in the middle. The summer capital of India is one of the oldest hill stations in Maharashtra. 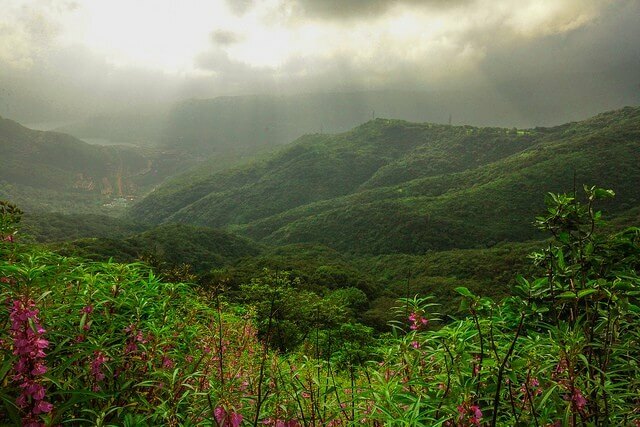 It’s just 18 kilometers from Panchgani and shares similar flora and fauna. It has become a little commercial with a lot of hotels coming up in Mahabaleshwar. Elephant Point, Venna lake, Arthur’s seat, Needle Hole rock, Mahabaleshwar marketplace and Kate’s point are few attractions one cannot miss in Mahabaleshwar. Venna lake offers boating options and sunset is the perfect time to visit this place. Bring out the kid in you at the marketplace. Views from any of the points are pretty good. Head to the Pratapgad Fort for some history classes as well as some great views from the top. If you have another day’s time, visit Kaas plateau during Monsoon season when the place is filled with flowers and looks amazing. 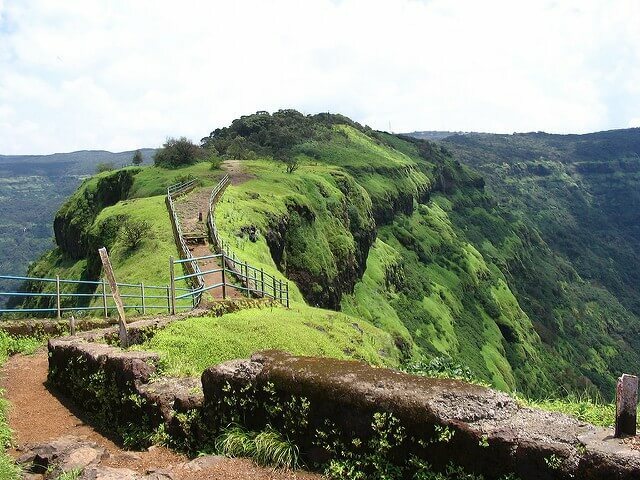 How to reach Mahabaleshwar from Mumbai? If you did reach Panchgani, Mahabaleshwar is just a few kilometers away. Buses ply from Mumbai frequently. Heard about the Global Vipassana Pagoda? 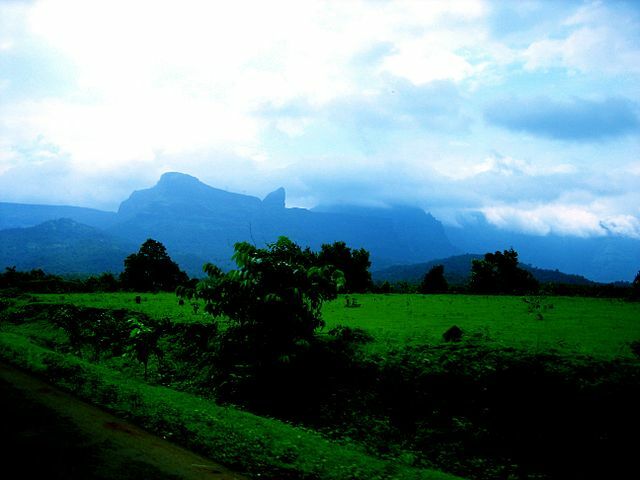 It is in Igatpuri which is amidst the Sahyadri range. Famous for its meditation halls, it is known as one of the “Seven Wonders of Maharashtra”. Usually, many tourists who are on the way to Shirdi, stop by and visit Igatpuri. It is a home to a lot of waterfalls that come alive during the monsoon season, making it the most attractive place for a getaway. A lot of resorts have come up and went under renovation to make it the best place even during the dry seasons. From Tringalwadi fort, trek up for amazing views of the Kalsubai mountain ranges. Bhatsa river valley is a scenic place with boulders and rocks formed by the river that runs through it. How to reach Igatpuri from Mumbai? Igatpuri is 120kms from Mumbai. Spend two hours on the train and you reach your place. It is the best place to unwind, relax and soak in the wilderness and natural beauty. Paddy fields and greenery will definitely give wings to your imagination. It is set on the largest earthen dam, Wilson Dam and the gushing water from this Dam let your thoughts run like a super train. And roaring waterfalls that give you an impression of an umbrella, hence the name Umbrella falls. Arthur Lake, a quaint, and a serene lake awaits you and should not be missed. How to reach Bhandardara from Mumbai? Bhandardara is 140kms away from Mumbai. Take a train to Igatpuri which takes only 1.30hrs to 2hrs and then hire a cab for Bhandardara. Government ST Buses are also available. Looking for some adventure? Head to Karjat right now! Karjat is very much popular for adventure sports like river rafting, rock climbing, zip lines, kayaking, and trekking. During the monsoon season, owing to the convenient distance from the city many of the city folks visit this place. Stay in a resort on the banks of the Ulhas river and get some amazing deals on adventure sports and maybe camping too. Other places to explore are Peth Fort, Historic Buddhist Caves – Kondana Caves, Kondana Waterfalls and Bhor Ghat. How to reach Karjat from Mumbai? Just 60kms away from Mumbai. A direct local train is available which is one of the easiest modes of travel. Ever heard of a place entirely free from vehicles? That’s Matheran for you. It was once told that it is an Eco-sensitive place and so the automobiles are banned so this leaves a noiseless and pollution-less place to relax. It is the smallest and silent hill station in India and quite untouched. Planning for a one day trip near Mumbai? Going from Mumbai to Matheran is pretty easy and exciting, take a local train to Neral and go on a zigzag journey up to the town of Matheran in a Toy Train. A lot of monkeys and horses welcoming you. There are various points across the town – Alexander Point, Echo Point, King George Point and also the charlotte lake where you can go for river zip line. If you miss the last toy train, trek through the narrow trails beside the railway tracks, when the chilly breeze hits you and all you can hear is just the songs of the birds. How to reach Matheran from Mumbai? 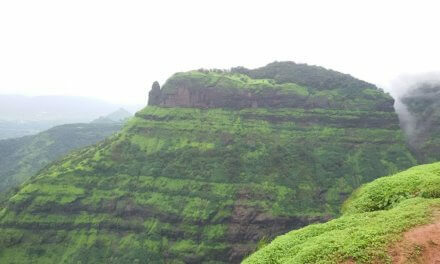 By car, Matheran is around 80kms from Mumbai. Else get on a local train, get down at Neral station and take a cab ride to the entry gate to Matheran. Lavasa is a popular planned hill resort near Mumbai and a famous getaway for the motorcyclists across the country. It is a perfect weekend destination for the residents of Mumbai and Pune. It’s the perfect mix of luxury and nature. For the luxury travelers, this city offers the best hotels, The Waterfront Shaw, Ekaant – The Retreat, Fortune Select Dasve, and Mercure Lavasa. For the foodies, the Dining options that make sure they leave with a happy tummy. Looking for adventures? Go for kayaking, rappelling, rock climbing, jet skiing and many other sports. Make your way to Karvi Spa to pamper yourself. How to reach Lavasa from Mumbai? Going by Car is the most convenient mode of transport if you plan to visit Lavasa. Bus stand is 20kms away and you would need to hire a cab to reach Lavasa otherwise. 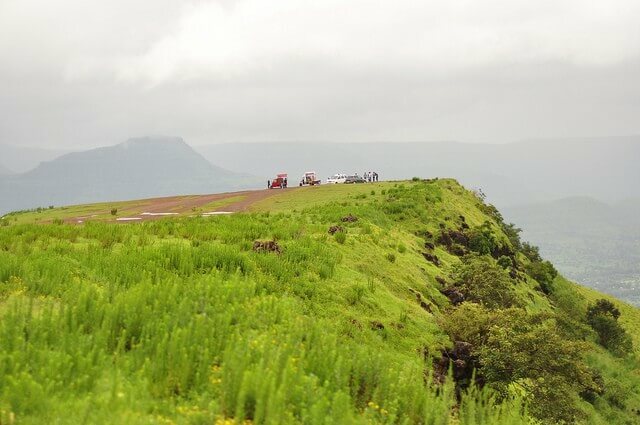 When monsoon hits, go on a drive to Malshej Ghat, a picturesque hill station near Mumbai. It is one of the best hill stations near Mumbai. But be a little careful since landslides do happen during rains. Maharashtra tourism has put in a lot of efforts and has the best MTDC resort which has an amazing view from their rooms. Known for the amazing sceneries, varied exotic flora and fauna and the charming waterfalls. If you do plan to visit Malshej Ghat during the monsoon, you might get a chance to see the joyous mating dance of the Flamingos. Visit the Shivneri Fort during the sunset. How to reach Malshej Ghat from Mumbai? Trust me, a 3hrs long drive to Malshej Ghat on a perfect day is the best. Regular bus services are available to Mumbai. Who am I? A travel junkie, pseudo foodie, amateur trekker and a cultural enthusiast. What do I do? 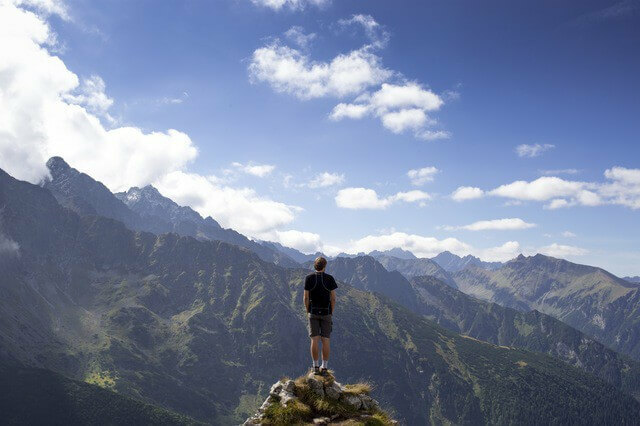 Travel to make memories and Write to preserve my memories An HR by profession and a Traveler by heart. Follow this space for more of my experiences, travel hacks, places to explore and much more. Wow guys incredibly beautiful, I love it. 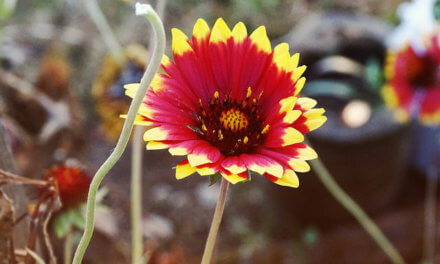 That was a nice blog there with some beautiful pictures. mavis on Top 10 Best Places to Visit in India in December to end the Year!